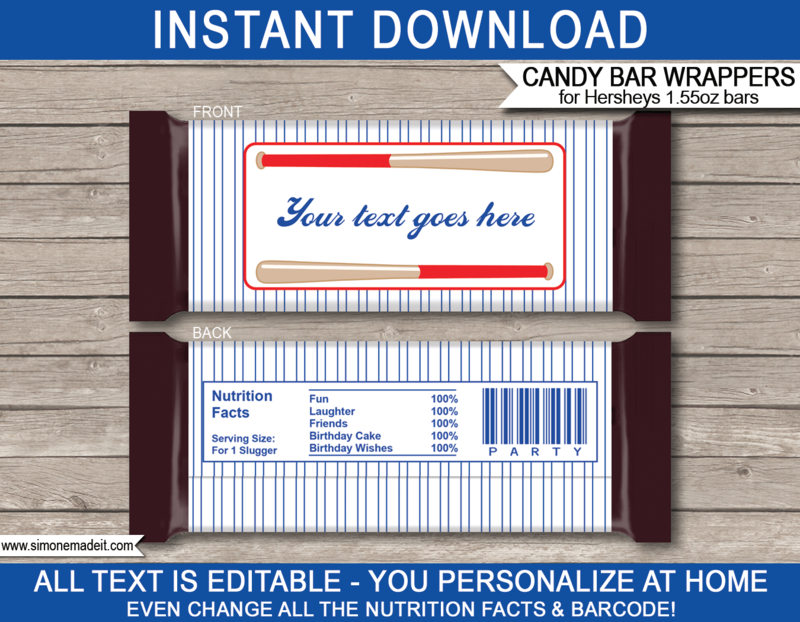 Instantly download & type your own text into this Baseball Party Hershey Candy Bar Wrappers template. Create personalized candy bars for your Baseball Party in minutes! All text is editable – you can even change the Nutrition Facts and Barcode on the back. 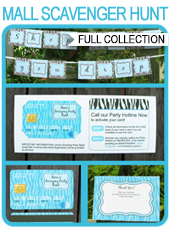 Download your Baseball Party Hershey Candy Bar Wrappers template immediately after your payment has been processed. Cut out your Baseball Party Hershey Candy Bar Wrappers on the provided cut lines, then fold around a 1.55oz Hershey Candy Bar. Secure ends with glue or double-sided tape. Adorable! 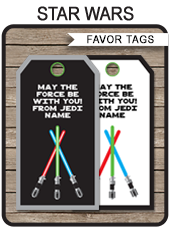 These were the perfect favor tags for my son’s Star Wars birthday party. Thank you!